A Colorado man is fighting for his life at a Sacramento hospital after the van he and six other people were in was struck by a suspected drunk driver. Patrick Carney was one of the passenger's in Monday's deadly crash on I-5 in Elk Grove. His best friend, Colin Michael was killed in the crash after being ejected from the van. Michael, 30, was a member of the band If I Fail. Carney's sister, Megan Freese, says he was on his way home to be with his wife and kids after finishing a tour with his band, Short Fuse 59. His family members flew from Colorado and Texas to be by his side. "It's just not fair that this happened," Freese said. "It's not fair to him and his wife and his two kids, who don't know whats going on. They're too young to comprehend." Freese says her family is overwhelmed with the love and support they've received from strangers from across the country. "All the love we can get is going to help tremendously, especially with his wife having to take time off work," Freese said. "We don't know how long she'll be here, and he has two little kids at home who don't have their parents right now. And we don't know when they will." 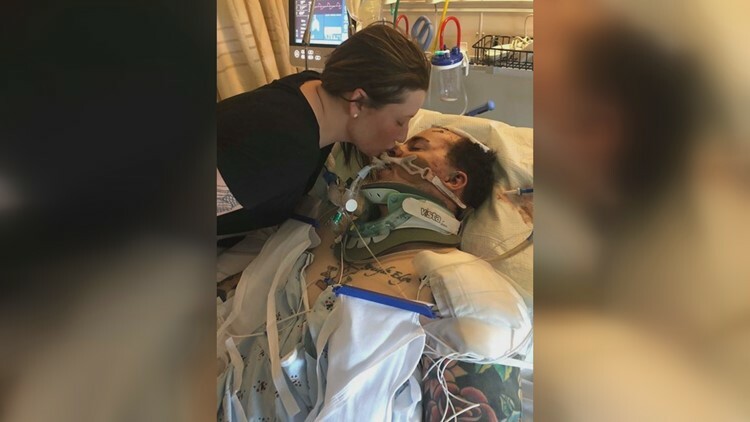 Freese told ABC10 she hopes the nightmare she and her family are going through will make others think twice about the devastating consequences of getting behind the wheel while being under the influence. "To know that there is someone who made that decision to drive drunk and impaired, and took the life of his best man and put him on life support, it's one of the hardest things you can ever go through," Freese added.